The original Sniper Assassin was a single-map play mode which released back in June for anyone who pre-ordered Hitman 2. It could be played in single-player or online co-op, and in it players were tasked with taking out three targets in 15 minutes – with the twist that they could only use sniper rifles and weren’t allowed to move from their starting spot. It was a lot of fun, with a surprising amount to do in it considering the simple setup. Barbour also talks about the new addition to Hitman 2, the exciting new Ghost Mode – where two players face off against each other in the ultimate test of speed, stealth, and skill. 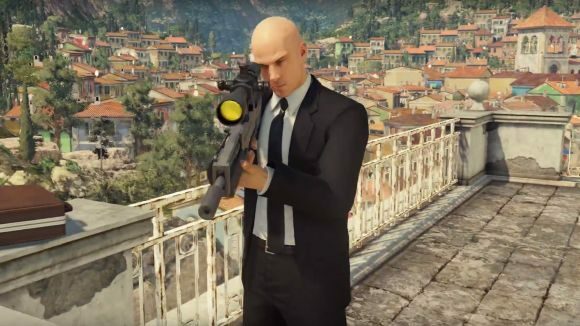 “It’s part of a bigger ambition that we have to introduce new ways to play Hitman,” he says. “Obviously multiplayer is a cool thing. We wanted to try and see how that would work for Hitman. We didn’t just want to add multiplayer into Hitman, but do Hitman multiplayer.” You can check out more from our interview with him here, which also covers the inspiration for the new modes and how high-level play within Ghost mode will work.